Today's post is by Michelle Maiese, Associate Professor of Philosophy at Emmanuel College in Boston, Massachusetts. 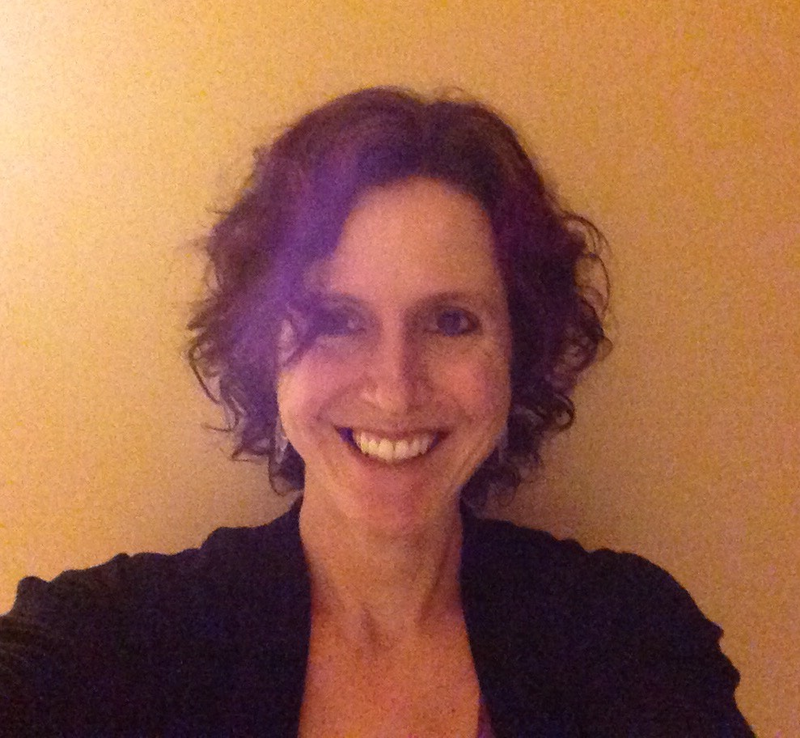 Her research focuses on topics in philosophy of mind, philosophy of psychiatry, and moral psychology. There has been debate among philosophers about how to address issues of responsibility in cases where subjects suffer from dissociative identity disorder (DID). If one personality commits a wrongful act of which another was unaware, should we regard this individual as responsible for her actions? If we regard DID as a case in which multiple persons inhabit a single body, it may seem natural to conclude that each alter is a separate agent and that one alter is not responsible for the actions of another. However, in “Dissociative Identity Disorder, Ambivalence, and Responsibility", I argue that even once we acknowledge that a subject with DID is a single person, there are still serious reasons to question the extent to which she is responsible for her actions. This is because a subject suffering from DID often will find it difficult to exercise autonomous agency. This individual cannot control the slide into one or another alter-state, and once she is in that state, she will lack awareness of many considerations favoring a particular course of action. In addition, due to disturbances in memory and self-awareness, the subject with DID is either incapable of remembering prior decisions, or incapable of being properly motivated by them. Even if a subject decides on a course of action, other desires and priorities may ‘take over’ once she switches to a different alter-personality. Also, there may be so much psychological fragmentation and memory loss that it becomes difficult for her to foresee what she will do or assess the long-term consequences of her actions. I argue that these impairments in agency are the direct result of extreme ambivalence: young children who develop DID experience extreme inner conflict regarding emotional needs to which they feel deeply attached. Suppose that Sue hates her mother and wants her to die, but also loves her mother and wants to have a close relationship with her. Rationality demands that Sue alter her desires appropriately. However, suppose that Sue feels so strongly attached to both of these conflicting desires that there is no way to achieve a well-integrated, unified perspective. What allows her to avoid crumbling under the pressure of inner contradictions is the belief that her conflicting mental states belong to separate selves. That is, she both accepts certain desires and tries to rid herself of them, and those desires that seem like ‘unacceptable intruders’ are handed off to an alter-personality. This ‘handing-off’ of desires and actions thus can be understood as Sue’s attempt to mask contradictions and manage inner conflict. Although extreme dissociation may intensify emotional disturbance over the long-term, it may be in Sue’s short-term interests in the sense that it allows her to compartmentalize painful feelings and memories. If it is true that subjects with DID suffer from extreme ambivalence of the sort I describe, then it would be a mistake to regard them as responsible for their wrongful actions in the same way that we regard ordinary adults as responsible. However, although autonomy and responsibility are eroded in such cases, they do not disappear altogether. If such a subject behaves wrongfully, there certainly is ‘part’ of her that wanted to do so, and thus, the action is attributable to her. Furthermore, even if she cannot exercise self-determination, it is important to acknowledge that her overall capacity for autonomous agency remains intact. This means there may be steps she can and should take to attempt to restore her autonomy or prevent any immoral actions from occurring. Mikkel Gerken is associate professor at the University of Southern Denmark. In this post he writes about his new book ‘On Folk Epistemology. How we think and talk about knowledge’. A central claim of my book, On Folk Epistemology. How we think and talk about knowledge, is that some folk epistemological patterns of knowledge ascriptions are best explained by cognitive biases. I argue that this approach to folk epistemology yields diagnoses of some hard puzzles of contemporary epistemology. So, On Folk Epistemology seeks to contribute to some prominent debates in contemporary epistemology. For example, I criticize contextualism, pragmatic encroachment, knowledge-first epistemology etc. If you want to check it out, there is an introduction and overview here. 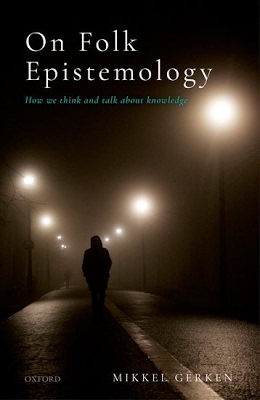 In this blog post, however, I will emphasize why the study of folk epistemology is an important task. In a nutshell, it is because folk epistemology is extremely consequential. Consider, for example, the roles of knowledge ascriptions in our social interactions. We acquire the ability to think and talk about knowledge early in life. Moreover, mental and linguistic ascriptions and denials of knowledge remain extremely prominent in adulthood. Indeed, linguistic knowledge ascriptions are arguably among the most important speech acts that we engage in on a daily basis. To ascribe knowledge to oneself or to someone else is a powerful speech act that gives the proposition said to be known a special status. Often it indicates that we are in a position to act on the proposition. Moreover, the subject to whom knowledge is ascribed is often given a stamp of social approval or disapproval. Just consider phrases such as “she is in the know” or “he doesn’t know what he is talking about.” Consequently, knowledge ascriptions are central to many of the social scripts that govern social life. So, if our knowledge ascriptions and intuitions about them are biased, we’d want to understand how and why. After all, we do not want to make our decisions about whom to trust and how to act based on biased judgments. Understanding the biases of our folk epistemology is all the more urgent given that they may lead to social injustices. This may be the case if biases reflect stereotypes that pertain to gender, race or class. Folk epistemological biases are particularly relevant to distinctively epistemic injustices. While epistemic injustices may be caused by general “identity prejudices”, folk epistemological biases are especially relevant. After all, they may lead us to mistakenly regard someone who in fact knows that p as not knowing it. Thus, biases of our folk epistemology may lead to “wrongs done to someone specifically in their capacity as a knower” which is Miranda Fricker’s initial conception of epistemic injustice (Fricker 2007). At present, we do not know enough about whether folk epistemological biases interact with biases pertaining to gender, race or class. Here I think of On Folk Epistemology as providing part of a framework for further research on epistemic injustice.